How good skie am I? Where will I ski? How steep is slope? What type of turns do I prefer? How good skier am I? Do not be too modest or overly confident. If you want to improve you need not only enough training and motivation, but also proper equipment. The better you are skier, the faster skis you can choose. 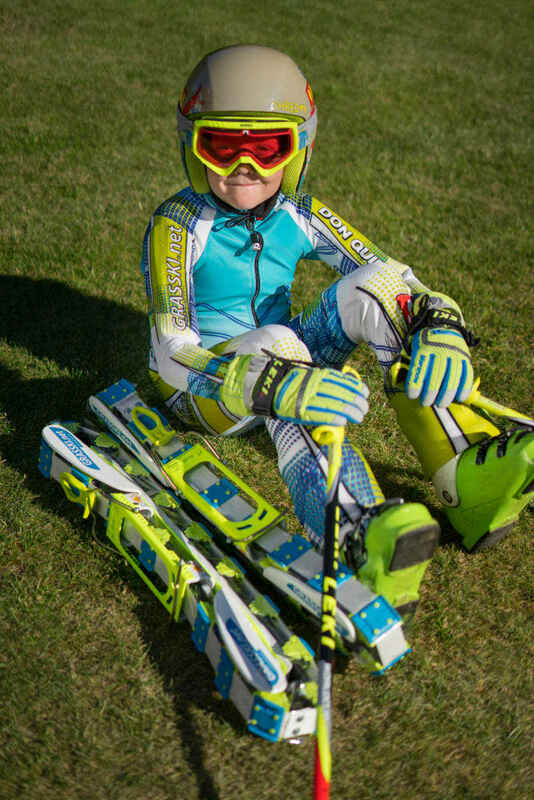 Thus, a beginner should consider models from Endurance series, advanced skiers can elect to consider whether to choose Endurance Speed or racing skis from Race Series. 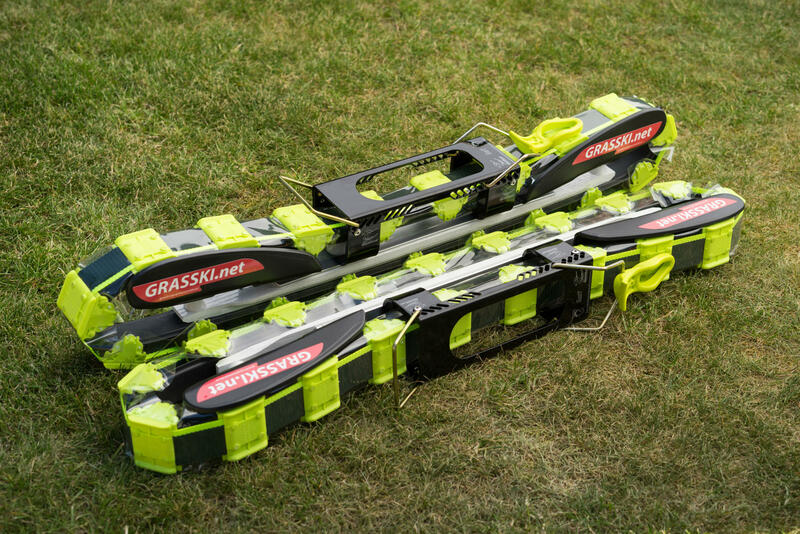 You can argue why it is necessary to choose between speed of skis when nothing like this is needed with winter alpine ski, but here it is necessary to realize that the grass skis do not have brakes and can't be skid. So there is nothing worse than a novice skier, who is rushing down a slope without even knowing how to control his ski. On the other hand, the higher speed you have the more you will be able to enjoy fun and more lean into the turns and carve a curve. Experienced skier skis and slow ski are therefore not a good combination. 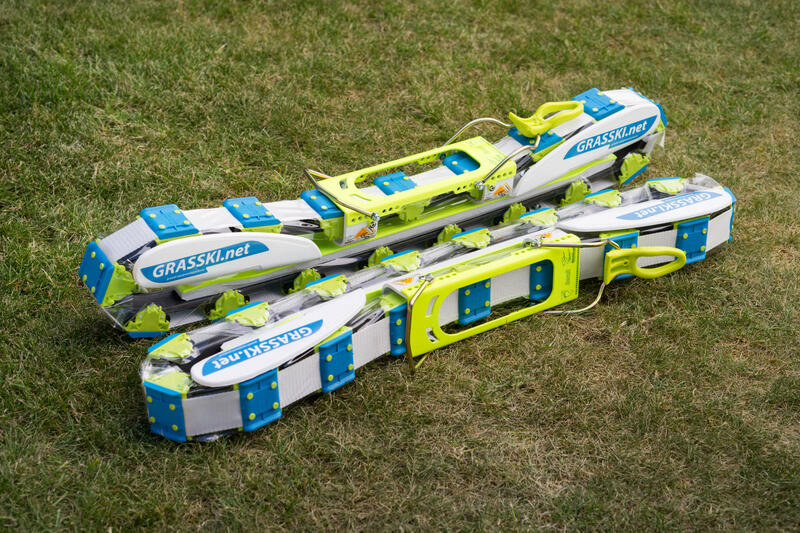 If you know your slope or slope nearby where you will practice grasski is flat, than opt for faster ski. On other hand for steeper slopes it is always better to go for slower skis. Despite longstanding efforts of many manufacturers of skis, there is nothing like ski for all kind of turns. One can not therefore choose skis suitable for short turns, which will also allow for absolute stability and enjoying the curves at high speeds. It is necessary to choose a model that suits you in most cases. Choosing ski radius depends on length of ski. Basically, radius of ski is dependant on the length. Therefore the shorter ski, the smaller radius and better they turn. Lovers of short turns will pick skis with a length of 80-85 cm. Likewise, is this choice of competitors for slalom. If you more enjoy longer turns than ski with a length of 85-90 cm are better choice. Ski longer as 95 cm are mainly for competitors and are not recommended for sport use. So which ski should I pick? Choosing right ski is at the end not so difficult. Based on slope you should decide between models and after that choose length. In every case we will always try to help you with correct choice, so don't hesitate and contact us on email m.stepanek@grasski.net. For skiing on grasski are used conventional ski boots. In case you have ski boots longer than 330 mm it is necessary to inform us about it during order checkout. We will replace standard binding parts with XXL parts. Another difference that is not always easy to describe is development and innovation. In RaceR skis, even during one season, skis are modified and improved to achieve the maximum possible - speed, low weight, etc. For skis of other model lines, all changes will be reflected in the offer later.